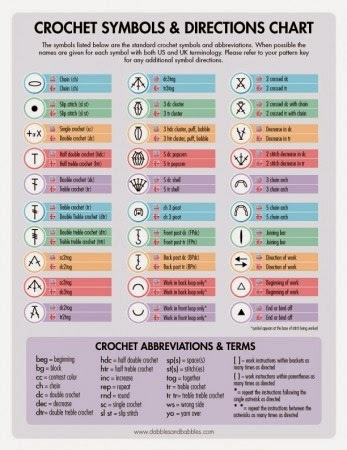 I had to share this awesome crochet symbols chart with you. I found it over at Dabbles and Babbles and I have found it to be very helpful. Anytime I find a tool or chart this awesome I have to share it with my rockers and crochet friends. Take a peak at the site because it's full of fun crafty ideas and the blog author also has a pretty Etsy shop too. Etsy Shop Is Open For Biz!